Our world is badly in need of our help – as the human race continues to deplete the planet’s resources and destroy it’s ecosystems, there’s a growing demand for talented engineering and science professionals. Despite this, the number of students entering these professions is still well below requirements; a situation which becomes more urgent with every passing year. NASA’s STEM (Science, Technology, Engineering and Maths) Leader, Sumita Mukherjee, is on a mission to help produce the next generation of leaders, movers and shakers through STEM and STEAM learning. 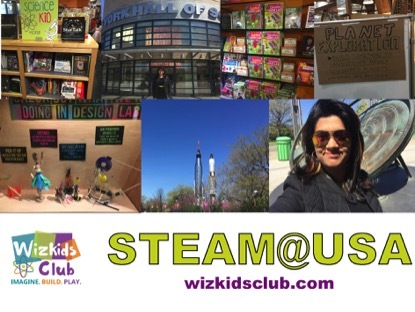 Through her WIZKIDS CLUB initiative, Sumita guides parents and educators in the introduction of STEM and STEAM learning for children between the ages of 4 and 12. Far from a new concept, STEM learning began in earnest just after World War II when a need to rebuild and move forward became a driver for new and improved skills. 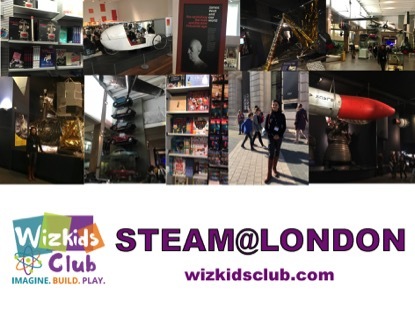 Focussing on real-life, hands-on learning, STEM gives children and young people the opportunity to experiment and explore and, to understand how STEM subjects find their place in everyday life. 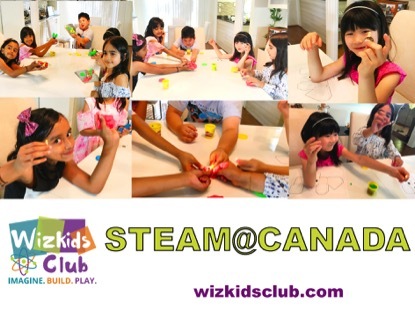 Although STEM and STEAM learning began, largely, in the United States, it has become an increasingly global venture – something that Sumita is determined to encourage and champion. As we head into 2019, Sumita takes a look at how STEM education is shaping our future leaders around the world. In Canada, it’s all about the girls – specifically, encouraging more girls and young women to embrace STEM subjects. Vancouver born Elsie MacGill was the world’s first female aeronautical engineer and the first to build and test an aircraft – despite being asked to leave the University of British Columbia in 1921 because of her gender. Inspiration – The Caucus panel found that young women need more positive STEM role models from an early age in order to embrace these subjects. Relevance – Schools need to examine and change how STEM topics are taught, with more emphasis on showing students how technology, science and maths shape the world in which we live. Like it’s Northern neighbour, the USA has begun to prioritize STEM learning, beginning in its elementary schools. A recent study showed that, although there has been an increase in American STEM graduates, approximately 74% of these graduates are not entering STEM professions. In 2015, President Barack Obama made a speech during the fifth White House Science Fair citing the importance of new private-sector commitments of $240 million for STEM education programs and the need for increased participation of under-represented groups in STEM fields. In addition to improving teacher training and introducing more proactive STEM learning in elementary schools, the USA is focussing on encouraging girls to embrace STEM subjects, with an emphasis on tackling pay discrepancies between male and female STEM employees – and that between white and black students and employees. A report by the National Assessment of Educational Progress (NAEP) has said that grades show that female students are just as competent in these subjects as their male counterparts and that schools need to dispel the myth among female students that they are ‘not cut out’ for these subjects. New York’s NYSCI centre is the ideal environment for teachers and parents to introduce STEM to children and young people as a stimulating and fun endeavour. Sumita Mukherjee’s STEM & STEAM Next-Gen Program is a cutting edge scientific learning system and a vital tool for all K-5 teachers. Across the pond, the UK has also identified skills shortages within STEM professions with the UK Commission for Employment & Skills stating that a deficit of skilled professionals leaves around 43% of STEM based vacancies unfilled. The UK is also putting greater focus on apprenticeships which will offer future STEM professionals on-the-job learning, allowing vital training for those whose financial commitments stop them from entering full time college or university education. 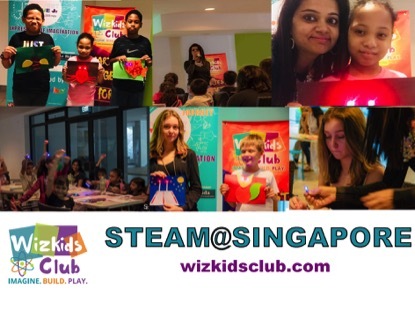 A recent survey by Amgen Asia showed that a whopping 90% of students in Singapore enjoy at least one STEM subject. Although this is great news, the survey also revealed that there is work to be done in engaging more students and making sure that teachers are fully equipped to teach STEM subjects. Impressively proactive, Singapore boasts a number of STEM based initiatives as it vows to become a world leader in these subjects. In 2015, Prime Minister Lee Hsien Loong said that STEM capabilities in the country were critical to ensuring Singapore’s growth within the next 50 years. Established in 1991, Singapore’s Agency for Science, Technology and Research (A*Star) was launched to advance the economy and boost the biomedical science, energy, chemical and engineering industries. 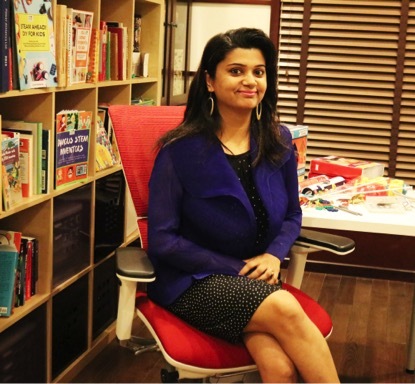 In her book, Famous STEM Inventors, Sumita Mukherjee inspires and motivates 6 to 10 year olds to learn about important inventors and work on their own creations. In 2017, FPT Primary School became the first primary school in Vietnam to introduce STEM education, signalling the beginning of the country’s move to enhance it’s STEM education for younger children. For older children, Le Quy Don Secondary School is one of a few schools which has organized STEM education in curricular teaching program. STEM lessons have been integrated into physics, chemistry and biology teaching hours. Recently, the school kicked off a project on automatic management greenhouse with flexible teaching methods, however, the project will need huge investment, with VND40 million (around $1725) for one VR (virtual reality) glass and learning software. 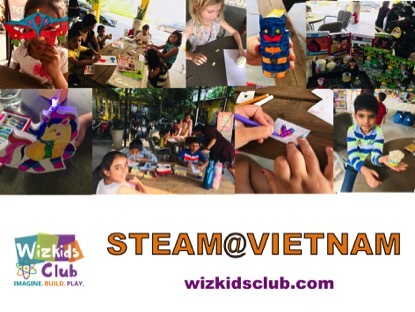 STEM and STEAM initiatives in Vietnam focus very much on the designing and building of motors and automated machines and aim to capture the imaginations of children by allowing them to build their own fully working machines. 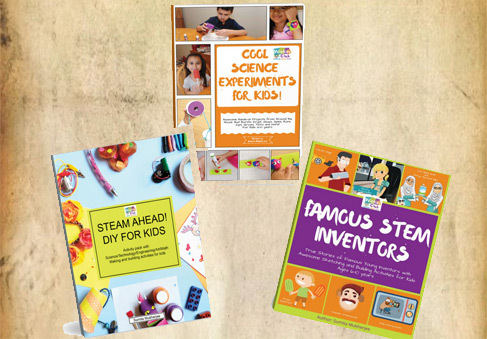 Sumita Mukherjee’s STEM Doodle Book is a fun way of introducing complex STEM subjects to younger children in order to encourage an interest in these subjects. Education – Indian schools are being encouraged to focus on hands-on, real life learning as well as STEM enhancement across all subjects. Industry – Many Indian companies are becoming involved in school initiatives; helping to mould their future employees. Government – The Indian government is issuing guidelines to schools with a view to upgrading library infrastructures and learning assets. STEAM@INDIA: Focus on engineering and STEAM in India. My workshops introduction to latest in education. More on what STEAM is happening in India. 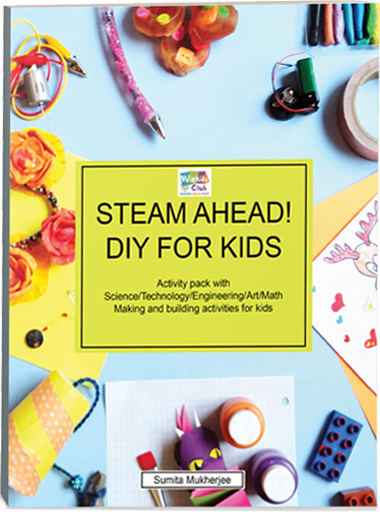 STEAM Ahead – DIY For Kids is the perfect accompaniment to India’s new STEM education initiatives, allowing children to understand the importance of making and fixing things in the real world. 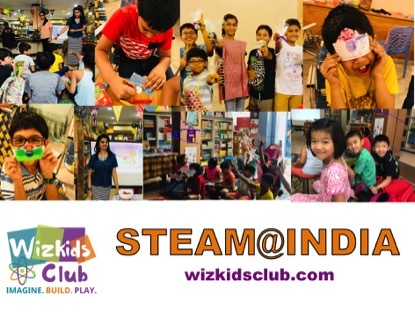 The Wizkids Club seeks to improve awareness of STEM learning through a number of books by Sumita Mukherjee which introduce fun and informative ways to approach STEM subjects. Each book is carefully constructed to entertain and to encourage through exciting activities and workshop opportunities. For younger children, recently released RESCUE MISSION WITH MY STEM INVENTION is the ideal tool for bringing literature to life for children aged between 6 and 8. Combining a fun story with creativity, the book is the perfect way to move your child away from the screen and into a lifelong love of reading. RESCUE MISSION WITH MY STEM INVENTION tells the story of Tiffany, Nicole and Alan, a group of children who are excited about being entered into the annual Best Tech Idea contest. Three brilliant middle school STEMists, they proudly present their “Forever Slime Soap”, “Oxygen Producing Motor”, “Oil Sucking Contraption” and “Colour Changing Cake” – a piece of cake for top STEMists like these three – but someone’s out to ruin their chances! As well as providing an entertaining story, this book is designed to get children used to the idea that, even at their age, they can grow up to become a leader by providing the world with much needed technology and practical inventions. For older children, engineering and DIY books such as ‘Simple Machines And Forces’ offer a more in-depth look at the real-world application of STEM learning. In books like this one, Sumita Mukherjee shows youngsters how to build working machines and devices, giving them a very real insight into how STEM is applied in everyday life.